Mega Sale! 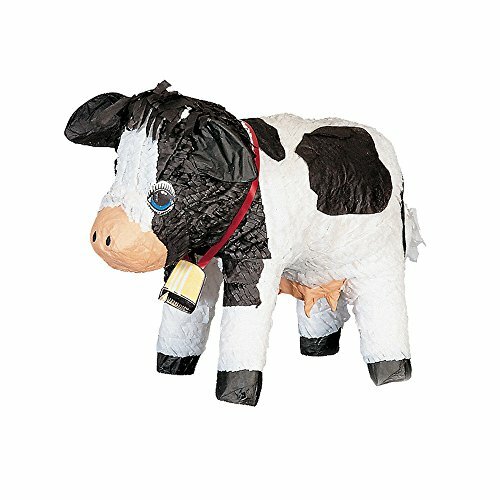 Save 27% on the Ya Otta Pinata BB007359 Cow Pinata by Ya Otta Pinata at Saltarines Quito. MPN: BB007357. Hurry! Limited time offer. Offer valid only while supplies last. The Cow Pinata (each) is a great All Adult Parties idea for Cow Print party. Make us your source for party supplies and costumes for all occasions. The Cow Pinata (each) is a great All Adult Parties idea for Cow Print party. Make us your source for party supplies and costumes for all occasions. You'll find everything you need at a low price with fast shipping too. It's time to get the party started! If you have any questions about this product by Ya Otta Pinata, contact us by completing and submitting the form below. If you are looking for a specif part number, please include it with your message.